So, you’ve decided you’re going to go ahead and build a niche blog. But maybe, (like me) a niche didn’t immediately jump out at you at first. Plenty of people may have vague interests, but nothing they necessarily want to build a business around. 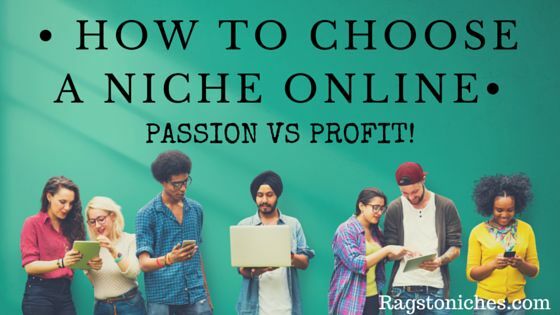 How to choose a niche online: Passion vs profit. Will going for a passion always work? It might seem most logical to go towards something you’re either passionate about, or have a deep interest in. But this isn’t always straight forward. For example, I have a passion about cooking and recipes – but writing about recipes doesn’t interest me. In addition to that, photography doesn’t interest me and to have a great food blog that competes with the best – some great food photography is pretty important. But I have the most basic knowledge about it, (basically my husband knows his stuff and I listen to him!). Ok, so – I could learn. But guess what? I don’t think I’d be at all interested to learn about it, nor write about it either. A while back, I decided I’d try and go into the anxiety niche, but a certain branch of it which concentrated on healing anxiety via natural methods. I was interested in psychology, having done some study in that area and also in natural healing methods. However, once I started to actually write about it, my motivation shrunk and shriveled like a prune. I tried to outsource the writing, I got several articles written and tried to go down that route. This didn’t help one bit. My motivation and desire to work on it disappeared like water down a drain. My point here is, just because you think you have a niche in mind that you are both interested in and passionate about – it doesn’t mean that you will have much interest at all in writing about it. Even if you are interested at first, this interest can soon wane. This can be problematic, as sometimes you just will not realise this until you get started. Sometimes you may only start getting interested in something …. BECAUSE you start doing it. Take this website for example…. I had no idea how much I’d love writing about saving an making money online. I just sort of fell into it! So, sometimes it’s the act of experimentation itself that leads you to the promised land. This probably doesn’t fill you with enthusiasm… you want to have a profitable niche and you want one right now, right? Well, sorry to be a party pooper, but your first niche – probably won’t be your last. The thought of writing potentially thousands upon thousands of words completely pointlessly, seemed like a gargantuan waste of time. But I was wrong. The actual act of writing posts, even on websites that I would eventually abandon, always end up being a rich learning experience. While you may not appreciate that notion in the beginning, it is something you will probably learn to accept. If you’re differently minded however, you may be stubborn enough to never give up on any niche until it’s profitable. If you can do that, all the power to you! Should You Choose The Most Profitable A Niche Only? If you go all out and just go for a profitable niche, that you have zero interest in at all – you will find it tough going. Some people can do this. One way may be to outsource the content…but if you know nothing about the subject, how can you be sure the content is top notch? As a beginner, to have the greatest chance of sticking with this, it makes sense to go for something that you have at least a mild interest in. Interested enough that you can learn about the niche as you go at least. For the most part, starting off with a niche you don’t have any knowledge about, nor interest in and are simply going into for the money – is not a good way to get started! Why You May Stay With A Niche You Hate!?! There is another situation that may arise. Sometimes, while your enthusiasm for a niche has been tested to the periphery of your patience…it may, suddenly, begin to be profitable. If you’ve slugged it out for a few months; writing content derived from inspiration that feels as if it’s being forced out from the end of a toothpaste tube – this may be an alarming position to find yourself. Any niche, however dull you may perceive it to be, becomes a whole lot more interesting if you’re making money from it. If you ever find yourself in this position, you may feel swayed to continue with it, despite your reservations. It’s still wise to research your potential niche to a point that, you can go in with your eyes open and fairly confident that you can turn a profit. Write down a list of every possible idea you may have, don’t limit yourself here – write down every possibility. What subject did you take in college? What would you love to learn about – even if you’re not an expert right now? What topics to you enjoy talking about with friends/family? From here, narrow your ideas down to a top group of 5, (or whatever number feels right) that you realistically think you could potentially dedicate thousands of hours of your time to. Out of this select group, now think about you can niche down on any of these ideas. For example, you don’t want to go for anything too broad… do not go for something like “fitness.” or “personal development,” but rather areas within this. So, it could be fitness for over 50’s, or exercising with kettlebells for example. Instead of a regular food blog, it could be cooking gluten free or Paleo. There’s a very successful blog I was reading about recently that was crockpot recipe blog, based on gluten free cooking. So, this was an example of trying to niche down, on two already potential niches, (crockpots + gluten free). Going With An Interest – Still A Good Place To Begin! So, while being “passionate,” about your niche is not necessarily a good reason to choose it, having a general interest in your topic in question is still a good place to start if you’re a beginner. Simple reason being, that creating content day in and day out on something that you have limited knowledge about and zero interest in, is going to feel like very large mountain to climb. It’s not easy anyway, so don’t make it any harder than it needs to be! So, once you’ve worked out your core ideas and have your top group of possibilities worked out, it’s worth now checking out your competition. Simply enter various search terms related to your potential niche, (possible article titles you may target, or more general terms) and see what sites show up on page 1. I checked this keyword in Jaaxy and the QSR happens to be very low, (that is the number of competing pages in google). So, add this keyword into Google and see what comes up. You want to check out various factors – such as: whether the top results actually have the exact keyword in their title, how established the sites are and if they have a large amount of shares on social media. If the content you’re looking at is way above and beyond anything you can ever imagine competing with, keep digging! (More niche) travelling Asia on a budget. (More niche still) travelling southeast Asia on a budget. If you feel put off by the sites you find and wonder how you may compete, don’t underestimate how much you can progress online in terms of making your website look professional and so on. These things you will be able to improve on in time. However, if the top search results seem only to be scattered with massive authority sites, then you may want to have a little rethink. Your aim here will always be to reach the top of the search engines. So, making that reality as likely as possible, is your goal before you even start working. OR go into a niche that has low competition but a high search volume, (again, difficult but possible). Make your post longer – if theirs is 2000 words, aim for 3000, (relevant info of course). Make it more in depth, (does your competitor include a video? Create your own video, or add a related one into your content, this can really help with ranking!). Put our there the best information you possibly can and try and fill any gaps that your competitor has left unfilled. Once you have your top possibilities, you will also want to do some Keyword research. If you haven’t already; try the free training here, they have a good free keyword tool you can use to get started. Alternatively, I use Jaaxy and you can get 30 free searches, (see my full review here). For a great list of free keyword research options – see here. 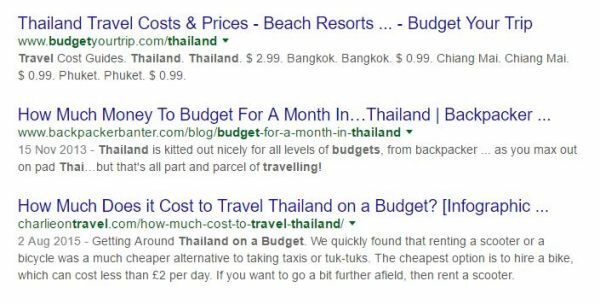 You will want to find long tail keywords with low competition and you will also then want to check the results in the SERPS, (search engine results page) as we did in the previous section of this article. Take a look at the video below, which explains how to go for “low-hanging-fruit” low-competition keywords and how it can benefit you. clicking on the video pic will open the film in a new window. Have a go at coming up with your own low-hanging fruit keywords. You can have a go checking keywords in Jaaxy, by searching below, (free trial – 30 searches). After doing your keyword research, you should have a better idea which niche is the best on your shortlist to target. While some competition is good, you want to give yourself the best chance of ranking your content high up in the search engines as quickly as you can. Now consider whether you can imagine writing thousands and thousands of words on this topic? Do you think this is something that potentially hold your interest for years to come? So, while I do suggest you definitely go for something you’re interested in – the potential profit of your niche should not be overlooked. For example, one of my first niches involved selling some products on Amazon where I just got a few cents to a dollar per sale! You’d need hundreds of sales per day in order to make any sort of decent money in this case. Fortunately, I was able to expand on this niche and started incorporating some higher value items, of between $100-$300, with a 6% commission, this was between $6-$18 per sale, which is considerably better. 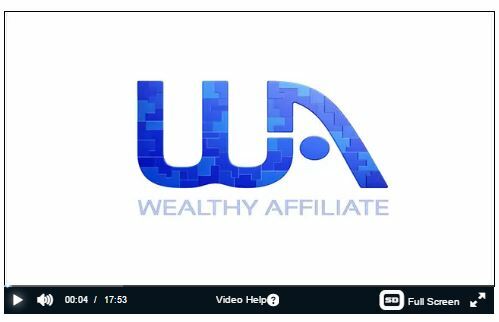 There are many affiliate programs beyond amazon, that offer considerably better commissions. In fact, certain digital products may sell for up to 100% commission – but it’s common to see commissions of 50-75% . Which is why digital products are very popular to promote. 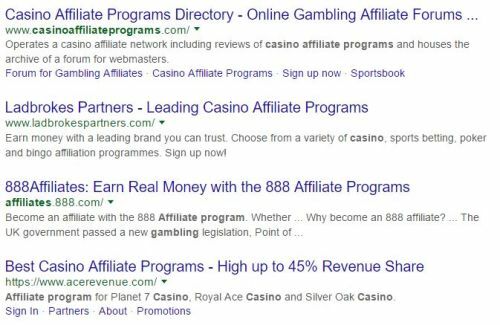 If you want to check out possible affiliate programs, just type in the “topic + affiliate program into google.” Eg: casino + affiliate program. It’s important to bear in mind that, of course, 10 sales are a lot easier to achieve than several hundred. Therefore, the greater commission you can make in fewer sales the better. Conclusion: How to Choose A niche – Passion Vs Profit? In my opinion, when deciding on a niche, you want to go for a combination of both passion, (or interest) AND profit potential. You need to find a middle ground there where you’ll be able to sell products that have a reasonable commission potential, whilst surrounding a topic area that you are interested enough to create content around. Many people get stuck in this vital phase and struggle picking a niche. They worry that it could all go wrong and therefore, do not take the plunge and take the risk. The most important thing is to make a decision and just get started – no, this may not be the one that becomes a profitable business, but you will learn so much in the process that this will not matter in the end. Take a chance! Take your idea and run with it! Don’t go in with the attitude that you have to create something completely new that no one has ever done before – just aiming to improve on what is already there, or provide your own unique angle/personality is enough! For further reading, this post has great info on how to choose a niche. If you want some in depth training, I personally got started here. What is a keyword in SEO? Keywords explained. Hi Nat. A really helpfull report since I am at that stage of writing about anything and everything to find an area I can really flow in. I can comfortably write 2,000 words in a day on things I understand or like, but finding the niche for profit is eluding me at the moment. Maybe it is more a question of writing about the “passions” and then findinding the niche within a niche that has products related to the niche. Sometimes I look at developing “How to..” ebooks. do you think that is a good way to go? I would value your opinion. Sometimes a niche may be more profitable than you realise – I think go with something that you feel most comfortable in. Then completely dedicate 100% of your concentration to that and get as much done as you can, once you start seeing some traffic come in and you rank higher in the search engine – you will be able to see what potential there is more. However, starting ebooks is a brilliant idea and I’m very much an advocate of writing your own ebooks – you should also connect your site to your ebooks. So, you could actually have a “how to…” related website, connected to a specific area. If you haven’t already, check out this kindle ebook course too, which while focuses on outsourcing content – also goes through everything you need to know about kindle publishing. Having seen your writing before in past articles, I can safely say first of all that you are a great writer. Okay so I liked many of the ideas that you mentioned in helping a person knew to affiliate marketing as a business, to help him/her balance out between choosing a niche based on passion vs. profit. My own feelings on the subject about choosing a niche for profit only; if I truly dislike the subject matter then I simply won’t waste countless number of hours trying to come up with sufficient article content no matter how much potential $$ I could make in the business. With my own niche, admittedly it is something that I have a great deal of passion for, and for most of my life. This works for me, although I do agree it might not work for everyone else. Particularly if the niche is very broad, plus the fact that really studying it the person might never really gain any long-term profits. You also mentioned the possibility of outsourcing content article work out to others. Wouldn’t $$ be a factor in this, especially for a person who has limited budget? You brought so much educational value in writing out this article, Nat. One that would really give concise info to the “newbie” in the world of online business ownership, and as a “how to” guidebook. One other thing. Your style of writing and using very small 1 – 2 sentence paragraphs makes reading all of your articles incredibly simple, Nat. Having recently read an article on another site – consisting of one really LONG paragraph, (covering at least 1,200 – 1,500 words) I would advise this person now to come over and read your article. A stark difference in quality Nat and for that I must commend you! Thank you so much Jeff, for the compliments and taking the time out to comment here. I agree with you regarding going for a profit only niche – I feel this way myself. I just can’t do something purely for $$$ sake, I need to have some interest behind it to keep me motivated. As far as outsourcing… While outsourcing does certainly cost money, you can get some reasonable writers on a budget. It depends what you want really. I think giving yourself an initial boost by investing in day – 30 articles in the beginning would at least get the ball rolling a little. But yes, it would cost money and if you’re looking to go down the budget route, then you’ll need to put in all the grunt work. Personally, I’ve never had much luck outsourcing so far – even when the writing is OK, I prefer to have my own voice behind things and end up spending too much time changing it. I think it would be different in particular niches where the content is very straight forward though and perhaps easier then. I’m glad you notice the major spacing that I use when writing. I know I’m probably on the more extreme end of that scale, but I’m quite particular about it – because I really feel it does help people get through the content when there is plenty of spacing between the text. I can’t tell you how many times I’ve left a website when there are huge blocks of text to get through, it’s a big problem for many people to get out of that habit I think. Hey Nat: This is a great find for me. Bookmarking it for later study…. I do have a passion — poetry writing — that I am turning into a niche, I hope. Still trying to figure out the conundrum that has puzzled poetry writers through the ages. How the heck do you turn all these words into food? Hey Netta… Well, I love poetry too. But, I’ll be honest with you – you may struggle to create a profitable niche from it. Perhaps adjusting this into freelance writing or something where you could promote writing courses and so on, would be better. That’s off the top of my head – thank you for your comment! HI Nat! Great post! I just kept nodding my head while reading it. I have questions that may be already you covered in the article but I just want to ask anyway. Currently, I am struggling to pick my niche, because I don’t have a current Hobby or passion. I used to love playing online game back in 2014. The reason I stop is because all my friend stops playing and because of my education purpose too. Today I can’t get into playing again because various kind of thing that held me back such as crappy laptop/PC, the urgencies to start make money because of family problem, etc. So hobby/interest/passion is out of count here. I just can not decide what niche should I pick, but I’ve already got 5 top Niches that might be good for me.PC/laptop gaming peripherals (mouse/keyboard/headset/monitor), Christian Niche (religion), Dog Niche ( I have dogs), Online game Currency ( for games like World of Warcraft and others), Swords (Decorative or real steel swords). But, mostly I don’t know much about those topics. I pick gaming peripherals because it is something that can support my old hobby (but no knowledge whatsoever), Christian because I’m a Christian, dog because I have dogs, online game currency because it is something that I can think of when picking online game as a niche and swords because it just kinda cool (lol). So any advice for me regarding this? Hi there, thanks for your comment. It sounds like you have quite a bunch of ideas :). You say you don’t have much knowledge about the niches you’re thinking about, but this is OK. Because, ultimately you will learn an absolute tonne about anything that you go into and can learn about it as you go. So, what I’d suggest to you is to go for something that you are most interested in learning about, OR that you think would be most enjoyable to work in day in and day out – remember, you’re going to be wanting to write a lot of content on whatever you do choose. Secondly, you may want to check out how many people are searching for keywords relevant to the niche you’re going into – you’ll want to search for keywords that could relate to potential titles for your blog posts – for example, if you were going into the dog niche, you might have a site dedicated to dog beds or dog toys, you’d want to see how many people were searching for the main term, “dog beds” and then for longer tail keywords such as, “best dog bed..” or even, brand specific keywords for dog beds. For more of an explanation read my post on Keywords in SEO and you can also get a bunch of free searches in the keyword tool I use Jaaxy, so you could search for some of your terms there. Picking a niche is hard, but going for a combination of something you’re interested in, with income potential long term is a good place to begin. Your first niche probably won’t be your last, so the best advice I can give you is to not spend too long choosing, just pick it and run with it and you will learn a great deal from that experience. All the best! I think, I just afraid to experimenting with one of those niches. There are something hinders me from starting which is family matter. Failing is not an option in my case, thats why I just kept on thinking to pick the right niche which is I know no niche is perfect to begin with. Looks like I need to overcome my fear and be genuine with myself, any advice on this? Yes if you have absolutely no interest in whatever it is – it’s unlikely you’ll stick at it for long. Although, there are exceptions and being passionate about a topic doesn’t necessarily mean you want to write about it. Sometimes just a vague interest can develop into a passion over time and one you want to write about too. Thanks for your comment!